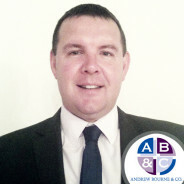 Set up in 1985, Andrew Bourne & Co have been providing a professional, independent insurance service to people from Wigston, Oadby, Leicester and towns across the East Midlands. Acting on behalf of our clients, we negotiate with all of the major (and some specialist) insurance companies to get a great deal on your behalf. Just as importantly we use our industry knowledge to make sure that you have the policy that suits you – not just a cheap policy that won’t offer you the appropriate level of cover should you need to make a claim.